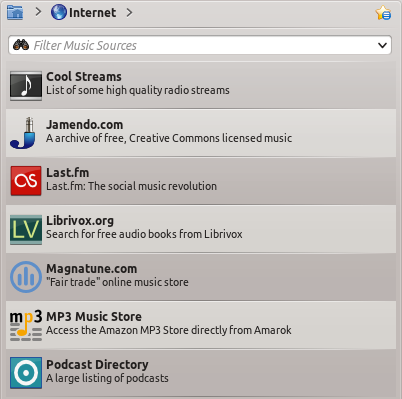 Default Internet Services in Amarok 2.3.1 version. This image should be updated whenever current Amarok stable version looks different. New images can be uploaded as replacements of this one (that's why the name has no version in it). 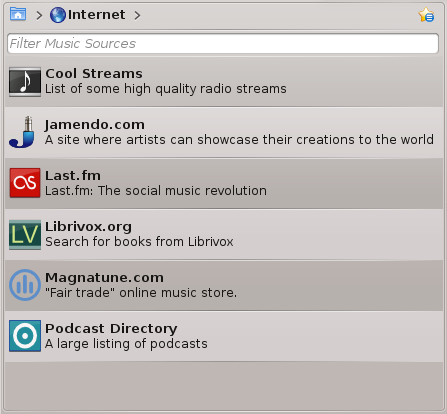 This page was last modified on 4 January 2012, at 17:55. Content is available under Creative Commons License SA 4.0 unless otherwise noted.